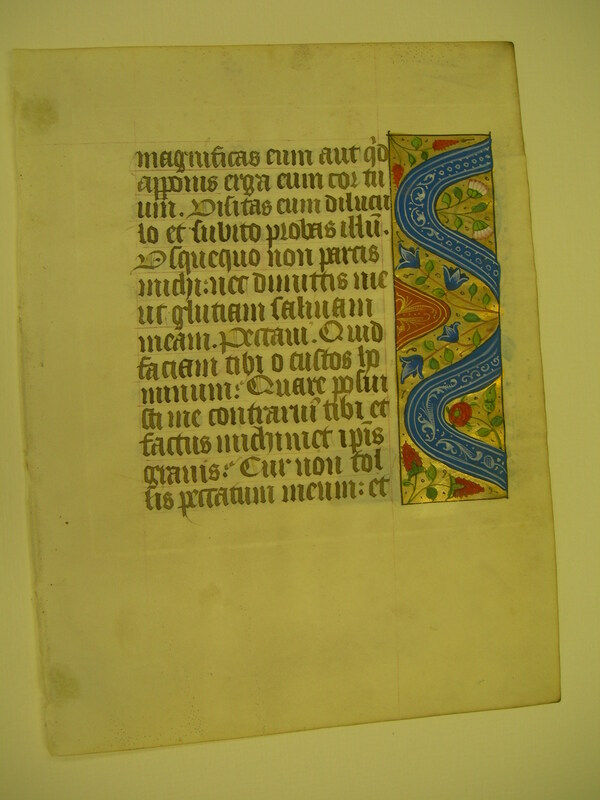 Text: This leaf contains text from the Office for the Dead at Matins, the first nocturne (mostly Job 7). quare non aufers iniquitatem meam? Ecce nunc in pulvere dormiam, et si mane me quaesieris, non subsistam. 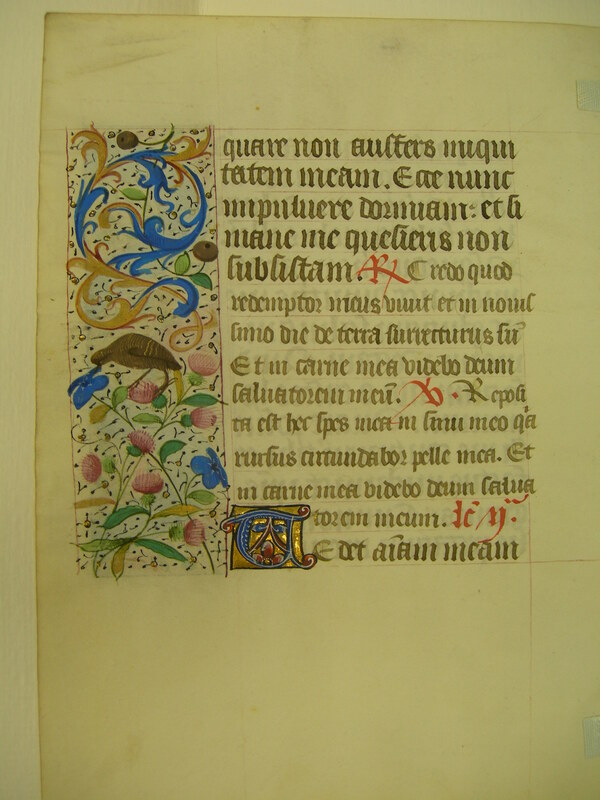 R: Credo quod redemptor meus vivit: et in novissimo die de terra surrecturus sum: Et in carne mea videbo Deum salvatorem meum. V: Reposita est hoc spes [ ] pelle mea. Et in carne mea videbo Deum salvatorem meum. Lec. ii. [Job 7 continued] ...why dost thou not take away mine iniquity? Behold now I shall sleep in the dust, and if thou seek me in the morning, I shall not be. R: I believe that my redeemer liveth, and that in the last day I shall rise from the earth: and in my flesh shall see God my saviour. V: [ ] And in my flesh I shall see God my saviour. Lesson 2.